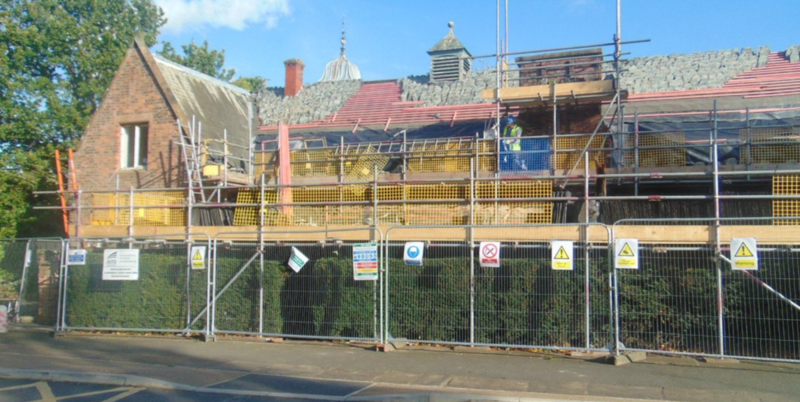 Aura are specialists in the restoration and conservation of historic and listed buildings. They plan, manage and deliver conservation contracts to the highest standards, maintaining a sympathetic approach to architectural heritage. As a valued partner and client, Walker Electrical are working alongside Aura to manage the electrical fit-out of The Old Laundry Building, Walton Hall, Warrington, a Grade 2 listed building. Warrington Borough Council were keen to reinstate this building to its former glory and working alongside our client, we’re delivering an energy efficient electrical fit-out, including new lighting to the main hall, store rooms & out-buildings, as well as a new fire alarm throughout. We installed new 100w LED Lowbays to the main hall and LED vapour proof batons to the stores & out-buildings. We also installed a new fire alarm system to L3 offering protection to life and property including detection on escape routes and rooms opening to escape routes. Each restoration project is entirely bespoke and we managed the complete electrical fit-out around Aura’s conservation works, from designing and issuing working drawings to the complete installation testing and commissioning. We delivered an energy efficient electrical fit out through the introduction of LED lighting that brings the historic building into the 21st century with reduced lighting bills that will offer Warrington Borough Council an exceptional return on their investment. The entire project was efficiently managed with excellent levels of quality, reliability and safety throughout and delivered to Aura’s brief on time and of course on budget. All work is installed efficiently and reliably and fully tested with NICEIC test certificates supplied as standard.